Now that the concrete slab is hard enough I’ve been able to position the fish tank, grow beds and sumps. Tomorrow I start on the piping. The 2300 litre fish tank is at the far right back. 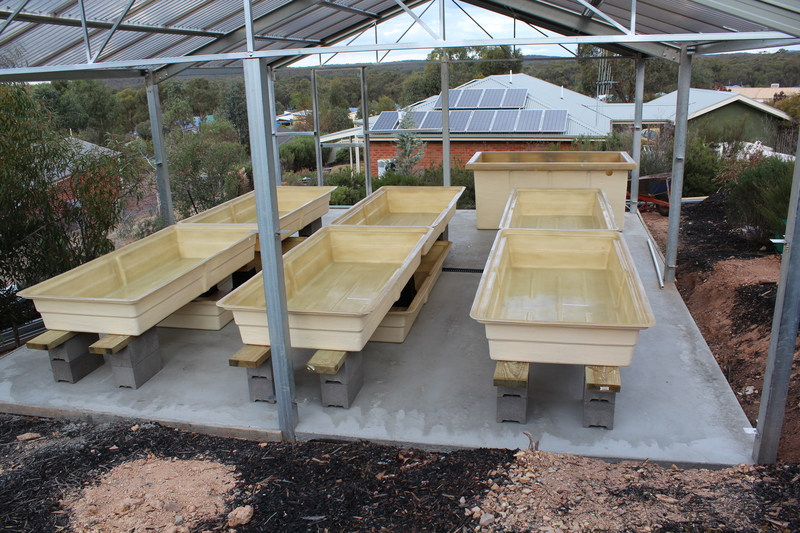 Notice the sumps under each row of two grow beds.